A prize-winning mystery play in verse by Maxine Haleff, directed by Jack Marks for WBAI's Mind's Eye Theatre. The cast includes Virgil Doyle, Jack Marks, Maxine Haleff and Raymond Espinosa. Technical production by Morris Markowitz and Fred Friedman. Original score by Sun Ra (1914-1993). Broadcast on WBAI, June 7 and 8, 1968. 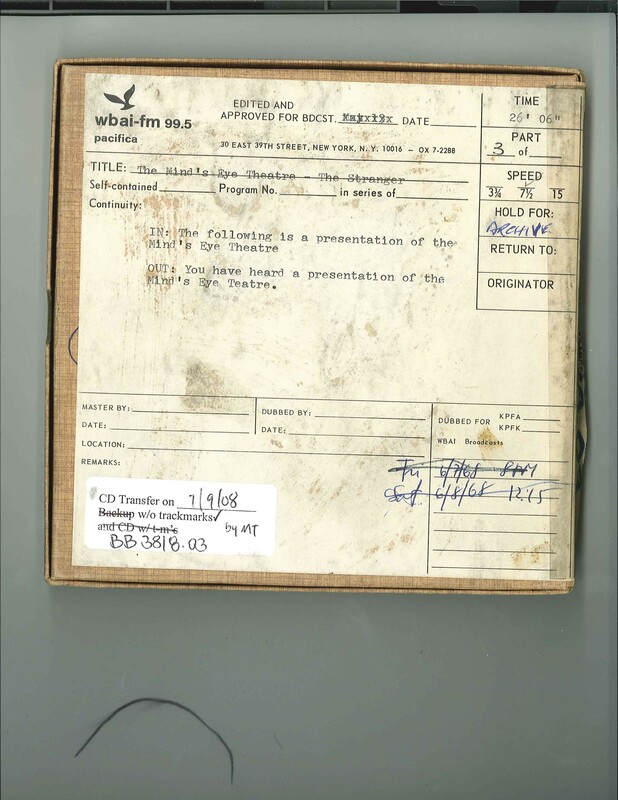 This recording was formerly cataloged as BB3818.03.